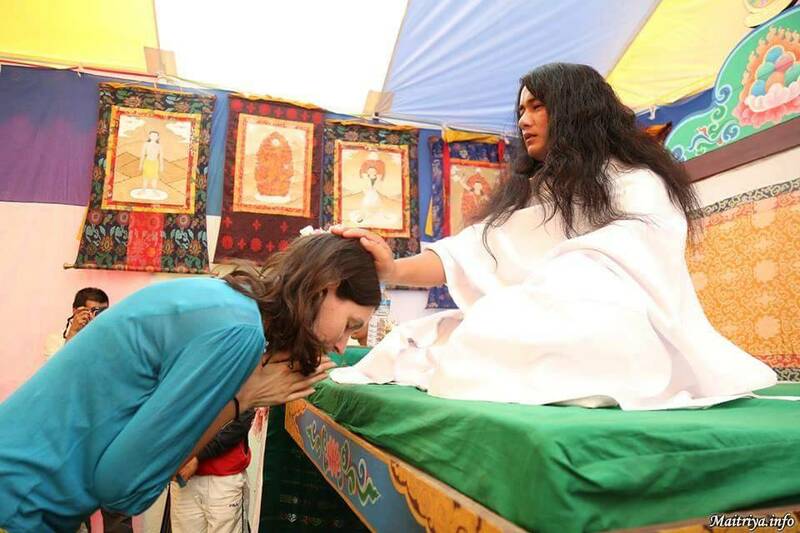 It happened to me in May 2011 when I first met “Guruji” Maha Sambhodi Dharma Sangha, who was finishing his 6-years meditation in Halkhoria jungle. The vision of Guruji under the tree and the energy field of that place was so strong… above all that you can try to imagine. Pure love, light and wisdom were radiating all around. Only tears of gratitude and full love from the heart, unable to speak, just be there in the pure presence of total awareness. I have never forgotten that day because it was the most beautiful day of this precious human life. 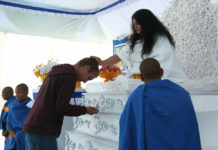 I came back in 2016 for Guru’s direct blessing (I know even though not in His physical presence, I was blessed even all that time), 5 years later… What a huge emotion and I was so happy to be back for the new Maitri time and Puja with all the Guru Marga Gurus – blue color dress and radiating blue healing waves. I hope the Maitri Path will guide the world to total liberation.